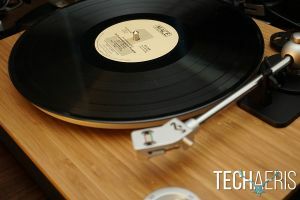 Vinyl is making a big comeback these days and more people are buying turntables to play their new found sounds. The House of Marley Stir It Up is one such turntable and wants to be your only turntable. 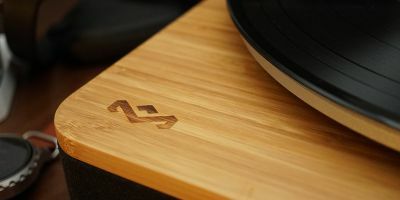 The Stir It Up turntable offers up a pretty amazing design paired with the sound expertise of House of Marley and their commitment to the environment. 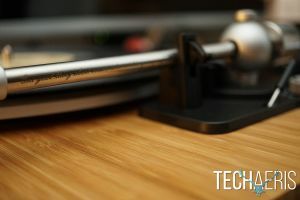 As far as tech goes, turntables are decidedly low-tech but still cool tech and this is our full review of the House of Marley Stir It Up. 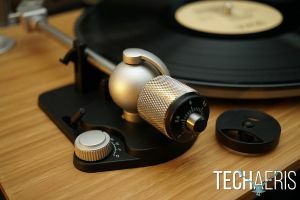 I grew up around turntables, eight-tracks, and cassette tapes so seeing a 21st-century turntable brings back some memories. The beauty of the turntable is that it’s a simple device and pretty much all mechanical. This means there’s no SSD, RAM, or operating system to putz with, just good old mechanical bits and pieces. Of course, mechanical things can have issues too but that’s not my point here. The point is the Stir It Up is a simple design that harkens back to a simple time. The Stir It Up is constructed of high-quality bamboo, aluminum, fabric, silicon, and other materials. The beauty of House of Marley is, they use a whole lot of recyclable materials in the construction of the Stir It Up. The company has a major dedication to the environment so they use recyclable materials and materials that can be recycled. Check out the videos below that show a bit about the materials and construction of this turntable. The top of the unit is pretty basic. 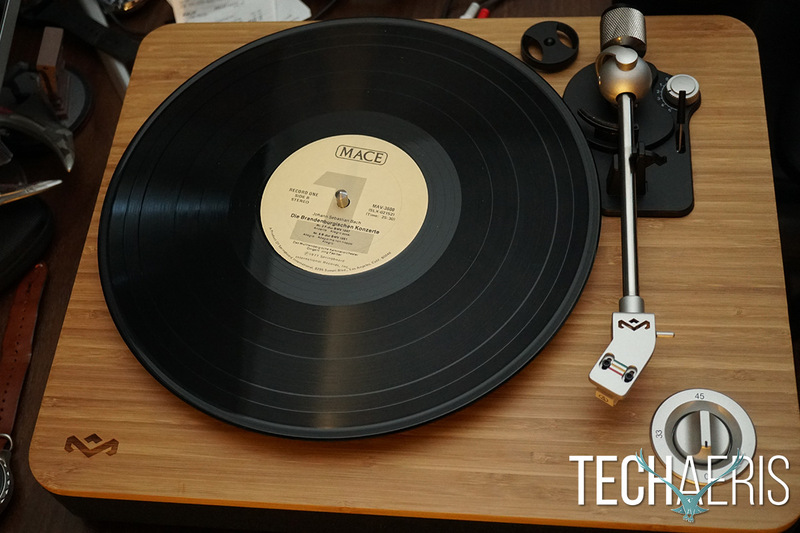 You’ll find the platter, arm, speed control, and 45 RPM adapter. 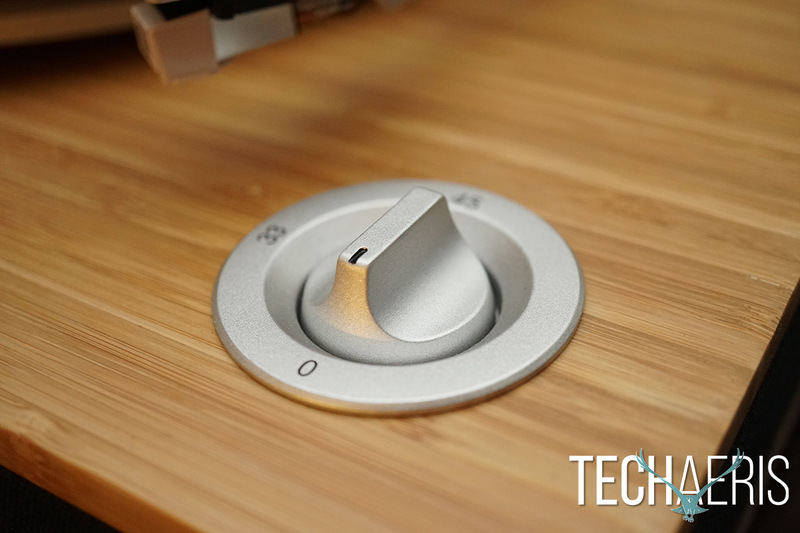 The front of the unit simply houses the headphone jack. 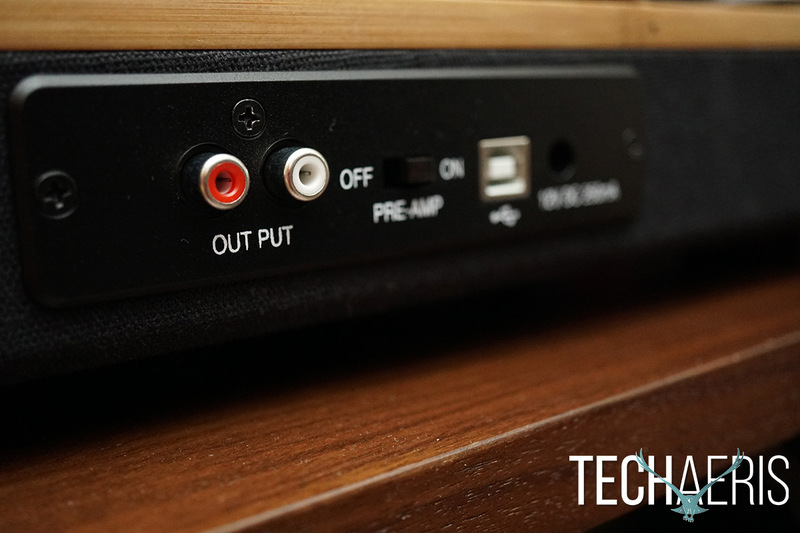 The back of the unit is where you have your RCA outs, USB out, Pre-Amp selector, and power input. The whole top is made of this gorgeous bamboo and the sides are all covered in a nice fabric they call “Regrind.” Overall this thing looks amazing and they include a great cover made from that same Regrind material. This is really a beautiful machine. The Stir It Up is very easy to use and get set up. The only thing you really have to worry about is getting the platter on, the belt threaded on the gear, and your counterweight on the arm. The included quick start guide gives concise and easy to understand instructions on how to accomplish those things. Once you have it put together, you just need a speaker or headphones and you’re ready to go to town. I do wish House of Marley would have included Bluetooth on this for use with Bluetooth speakers, but that’s a minor thing. There are a few ways to enjoy the sound from the Stir It Up. You can use headphones, or you can plug an AUX cable into the headphone jack and into your favorite speaker. But my preferred method was to use the phono out connection (RCA jacks) with the included RCA to AUX cable. I found the RCA outputs gave me the richest and most vibrant sound. And oh what a sound! That old vinyl warmth just came back and brought back a ton of memories. 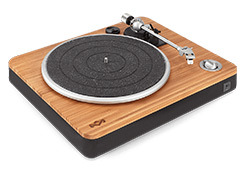 You can pair this turntable with any speaker or home audio system as long as there’s an AUX input or you could use RCA to RCA cables as a connection as well. 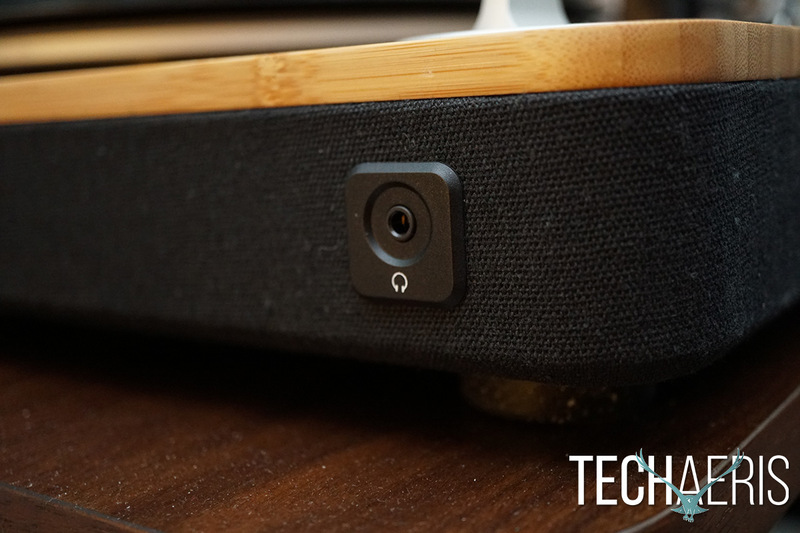 The sound really is going to depend on the quality of speaker being used. There is also a USB out which allows you to connect to your PC using the free Audacity software. I did not use that feature but some may find it useful. 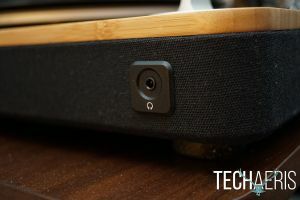 Overall, the sound is amazing when connected to a high-quality Bose speaker and I thoroughly enjoyed the sound experience with this turntable. Coming in at $229.99USD the Stir It up isn’t exactly cheap. But the build quality on this thing is amazing and the overall design and construction is top notch. 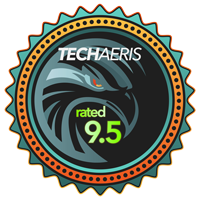 I believe it is worth the asking price and you can probably get it a little cheaper on Amazon as of this review. The House of Marley Stir It Up is the perfect way to play your vinyl. It’s a well built machine that emits that warm vinyl glow and I think a lot of people will love this turntable. *We were sent a sample of the House of Marley Stir It Up for the purposes of this review.